12 reasons why you and your child should train Jiu-Jitsu - Gator Family Brazilian Jiu-Jitsu, DeLand Fl. Jiu Jitsu has given me many goals, a sense of purpose and the drive and discipline to go after those goals. I believe there is no program out there that encompasses physical education and character development like Brazilian Jiu-Jitsu does. As you become more proficient Brazilian Jiu-Jitsu, your confidence gets a big-boost. You become more self-assured and confident. Your Professors encouragement goes a long way to help you achieve this goal, but the confidence level will extend far beyond the Academy. Belts and rankings are a public recognition among peers for the student’s effort and progress. Martial Arts ranking system helps teach you to set goals and achieve them, to persevere and prioritize. Even during sparring, where the student shows how creatively he or she can apply their well-honed skills – there are still rules and protocols to be followed. All of this teaches you to respect one another, their opponents and colleagues, and how to play games fair and square – lessons that follow you in your non-Martial Arts lives. It also teaches you to commit, to go to practice even when you don’t feel like it. 5. Individual Achievement: No one sits on the Bench. Coaches have access to a endless supply of players that renews itself each year, the big and strong get picked and get to play while the less physically developed watch from the bench, this leads to an even greater disparity in skill development as the season goes by. At Gator Family Brazilian Jiu-Jitsu, our mats are packed while the benches are empty, all kids get equal ‘playing time’. Naturally some kids develop their skills and physical abilities earlier than others but we personally find that many kids who start out with underdeveloped athletic attributes such as strength, speed and size, end up blooming onto some of the finest technicians we have in all of our programs. At Gator Family Brazilian Jiu-Jitsu, we have a large amount of girls in our kids and adult programs, and in many classes they outnumber the boys. The girls are among the most technically proficient students we have and often dominate many of the local, regional and national competitions they enter. 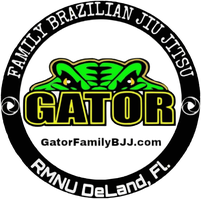 At Gator Family Brazilian Jiu-Jitsu, we have many families that come to class together and either take class simultaneously or watch each other's sessions. Jiu Jitsu’s main goal is technical prowess and perseverance but the training itself is a whole body workout – Grips, Feet, Hips and Head all need to move in fluid and exact timed motions to properly execute a throw or a fight ending submission. Many world class professional athletes such as NFL players take up Martial Arts in order to improve their game skills. Jiu Jitsu has experienced a World Wide growth in the past 10 years unlike any other Martial Art. You can find a Jiu Jitsu school in any corner of the of any continent. In Jiu Jitsu, a student may travel to any school and they will still be practicing the same hip throw, arm lock or choke that are taught at his Academy. In fact I encourage all my students whose jobs involve traveling to always bring a Gi and visit other schools. Even when my students go away on vacation they tell me stories of training from the other side of the country to the other side of the world. 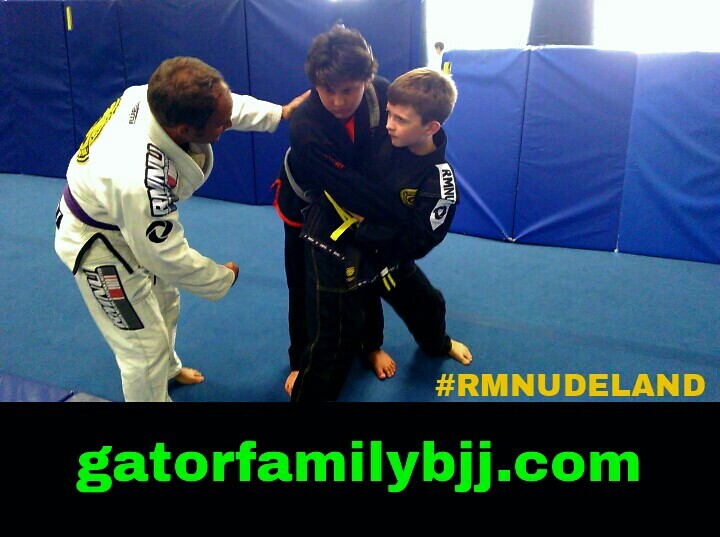 Gator Family Brazilian Jiu-Jitsu is part of the Robson Moura Association. We have affiliates worldwide. What are you waiting for? Submit the form below to save your spot and start your journey in BJJ. We’ll see you soon!